At the center of these celebrations throughout the United States was the Declaration of Independence. 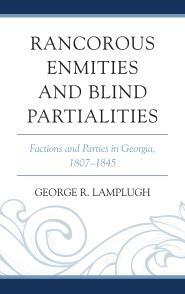 In antebellum Georgia, the state I know best, from early June onward local newspapers mobilized citizens to organize communal commemorations of American independence. 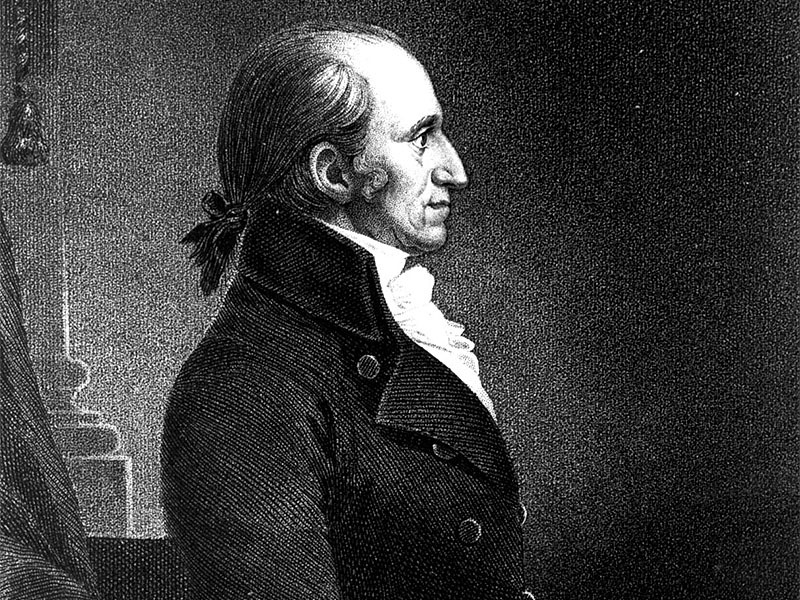 Editors often published the Declaration a day or two before the holiday, and they also wrote essays analyzing the significance of the event for the nation and the state since 1776. 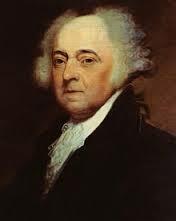 A committee in each town tapped an up-and-coming politician to read the Declaration aloud and a more seasoned local political figure to deliver an oration affirming the glories of American liberty and progress. No Fourth of July celebration was complete without a parade of militiamen in full uniform. Following the parade, the reading of the Declaration, and the oration, citizens continued celebrating, with meals, ample liquid refreshment, numerous toasts to heroic figures in the struggle for freedom–and to the ideal of freedom itself. 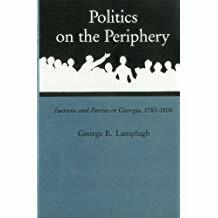 Once the political scene became increasingly polarized, towns and cities across Georgia continued to celebrate the Fourth, but at an ever-growing distance, chronologically, ideologically, and emotionally, from the American Revolution. In other words, precisely what sort of freedom was being celebrated became unclear. In this brave new world of American politics, what was definitely lost was the notion of the “common good” that was supposed to be at the heart of “republicanism” (for a series of posts on this topic, see here, here, here, and here). Even before the organization of political parties in Georgia, the potent mixture of patriotism and alcohol could lead to trouble on the Fourth. For instance, in 1787 Colonel James Gunn tangled at a holiday dinner in Savannah with friends of James Jackson, who already had clashed with Gunn over a number of issues related to the Georgia militia. After a lot of eating and drinking, a Jackson ally, Joseph Welscher, who was also one of Gunn’s militia subordinates, was asked to sing a song for the gathering. His choice angered Gunn and others because it was “an old English song made before the [Revolutionary] war.” When Gunn objected, Welscher apologized, only to have Gunn retort, “Damn the song and you too, you damned stinking puppy.” The two men nearly came to blows, but were separated, and the still irate Gunn left in disgust. A drunken Welscher finally stumbled homeward a few hours later, past the house of Colonel Gunn, who was waiting for him. The two men grappled, with Gunn snatching Welscher’s sword away, then assaulting him with a whip. 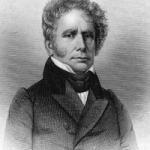 Only the arrival of a neighbor, summoned by Gunn’s anxious wife, defused the situation. As political factions and parties formed in the major towns of Georgia in the mid-to late 1790s, first over Treasury Secretary Alexander Hamilton’s plan to restore the nation’s credit and later over the Yazoo land fraud, it was not unusual for militia units to include members of only one faction or party. In 1796, for example, Colonel Jesse Sanders, commander of the Columbia County militia regiment, enlivened a Fourth of July muster with a heated oration denouncing land speculators for their opposition to the Rescinding Act, which had negated the corrupt Yazoo sale. Subsequent events helped to polarize militia units further. 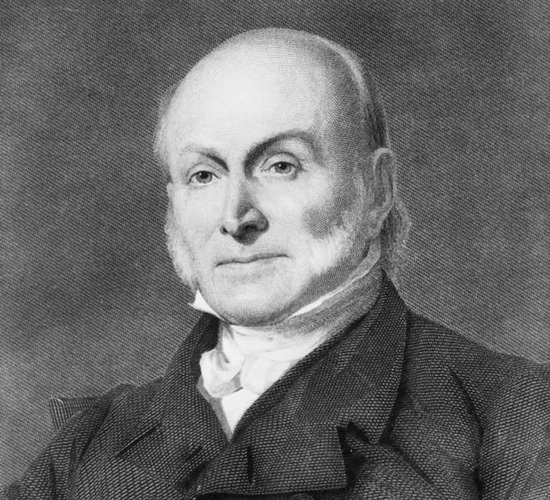 In this later period, newspaper editorials, celebratory speeches, and toasts still addressed the general topic of American liberty, but the real excitement on the Fourth came during the second phase of the celebration, when members of factions, parties, militia units, or other groups gathered to offer toasts interpreting local, state, or national issues so that their own particular views were presented as the logical outgrowth of the principles embodied in the Declaration of Independence and, thus, as examples of the nation’s founding ideals; while the political opposition was portrayed as having abandoned those things that had made the nation great, in pursuit of greed and corruption. As had been the case on earlier occasions, alcohol and patriotism, transmuted now by increasingly rabid political partisanship, made for a combustible combination. 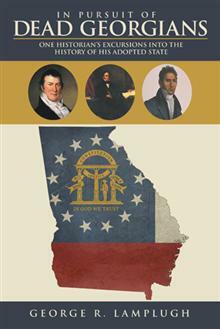 In 1825, for example, George Troup and John Clark, the leaders of Georgia’s eponymous political parties, opposed each other for the governorship in an exciting, highly emotional campaign. To celebrate the Fourth, planners in the Monroe County town of Forsyth attempted to organize a non-partisan gathering, promising that no one would offer toasts on “party” topics. However, on the day itself, General Elias Beall, a zealous Trouper, made a strongly pro-Troup “volunteer” toast (offered late in the celebration, after the “regular” toasts had been made, the dinner’s president and other prominent guests had retired, and the remaining celebrants had had additional time to imbibe). In response, an equally avid member of the Clark party, John Cuthbert, proposed a blatantly pro-Clark toast, then left the table, fearing that the rest of the volunteer toasts would become even more overtly political, which, he later claimed, they did. 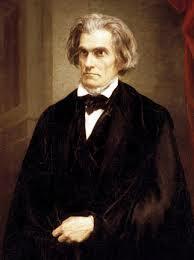 Seven years later, lines were being drawn in Georgia and elsewhere over the efficacy–and constitutionality–of John C. Calhoun’s doctrine of Nullification, the idea that a state unhappy with a federal law, in this case the protective tariff, could vote to “nullify” it, rendering it unenforceable within the borders of that state. The 1832 Fourth of July celebration in Milledgeville, the state capital, began when local citizens, led to the Methodist church by the “Georgia Guards,” listened to a reading of the Declaration of Independence and to a rather generic oration, a throwback to the “good ol’ days” before the rise of parties. Nowadays, our young people generally learn of the Declaration and its ideals in an American History course. One hopes that this requires, at a minimum, that each student actually reads the document, and that the class discusses both what it says and, just as importantly, what it does not say. Do our children learn, for example, about Jefferson’s famous (or infamous) “philippic against slavery,” charging the King of England with “forcing” slavery upon the southern colonies, a charge that was removed from Jefferson’s draft by the Continental Congress, whose members realized all too well how explosive the slavery issue was (and, just maybe, how silly Jefferson’s assertion was)? To call the Declaration “American scripture,” as some historians do, plays into the literal mindset of many Americans. Rather, Jefferson’s “Great Declaration” became a kind of national “to-do list,” a collection of inspiring ideals to which the new nation committed itself in 1776, but which even some who heard the Declaration read that summer probably realized did not yet even approximate reality. One way to understand our national history, and the Declaration’s place in it, then, is to see it as “the story of American Freedom” (Eric Foner), a still-evolving saga wherein the very definition of “American Freedom” has been contested, stubbornly and persistently, with “progress” measured by which groups enjoy “the blessings of liberty,” and which remain outside the “sacred circle,” at any given time. And, make no mistake about it, even today, some groups still remain outsiders, looking in. 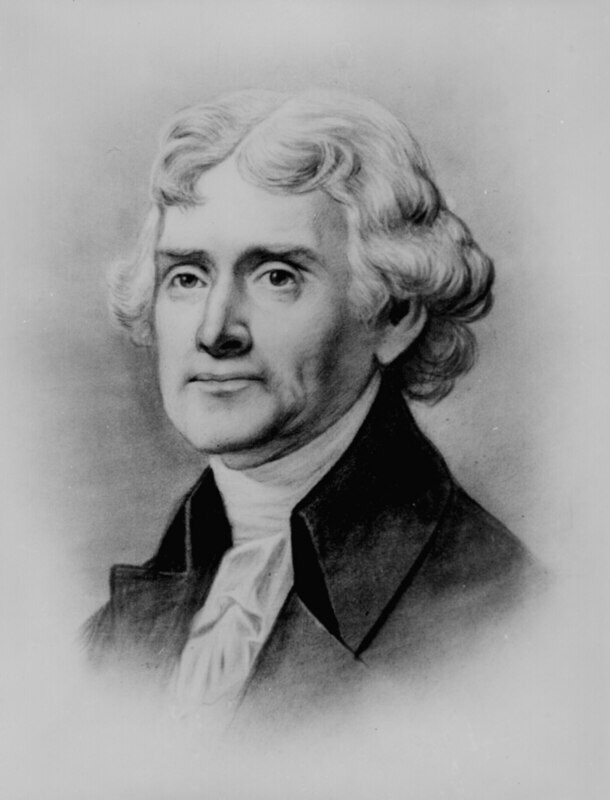 This entry was posted in 4th of July, American History, Education, George M. Troup, Georgia History, Historical Reflection, History, James Gunn, John Clark, John Cuthbert, Nullification, Research, Retirement, Southern (Georgia) History, Southern History, Teaching, Uncategorized, WP Long Read and tagged " Thomas Jefferson, Declaration of Independence, Fourth of July, George M. Troup, Georgia History, James Jackson, John Clark, Party Politics. Bookmark the permalink. Nice explanation of the history of partisan/factional politics and emphasis on the elusive nature of “freedom”. Thanks, Glen! I’m glad you enjoyed the post, and especially that you caught the paradox at the heart of it! George, you are amazing!! I have re-read your blog on A Scrappy Fourth of July on the eve of July 4th!!! Many thanks—for all your work and particularly for teaching Old Testament when I taught at Westminster—-Happy 4th!! Thanks, Merrilyn! Glad you enjoyed the 4th of July post. I too believe that my experience teaching freshman OT at the W was unforgettable, helped of course by your unstinting support of my efforts! George, thanks for allowing/reminding us to visit/revisit this post about the complex and changing pursuit of liberty under the Declaration of Independence and Constitution. At the risk of hijacking your forum, I would like to comment on your very thoughtful conclusion. You wrote about the still-evolving saga “wherein the very definition of ‘American Freedom’ has been contested, stubbornly and persistently, with ‘progress’ measured by which groups enjoy ‘the blessings of liberty,’ and which remain outside the ‘sacred circle,’ at any given time. And, make no mistake about it, even today, some groups still remain outsiders, looking in.” I would add that, in my opinion, the difference between today’s struggle and that of previous struggles is that, whereas previous struggles allowed differing groups to co-exist amid their struggling because nobody could exercise total dominance over America, in today’s struggle, there is the potential for one side to achieve such dominance and plunge us into horrible totalitarianism, all in the name of “American Freedom,” “progress,” and “the blessings of liberty.” I’m not pointing fingers at the left or right; I fear both extremes. Sorry to be lecturing; I guess we never get over that inclination. Thanks as always for your thoughtful comment, Glen. I agree with you, no question about it. I keep going back to the notion of the “common good,” the pursuit of which by society’s leaders, at least in eighteenth-century “republican” thought, was supposed to obviate the need for “parties” or “factions” (both terms were extremely negative). Yet, a party system developed, and evolved. Funny, though, for parts of various “reform” eras opposing parties could find “common ground” which, though not exactly the “common good,” provided room for compromise (remember that?) and at least the beginnings of necessary change. But today? Parties, for many Americans, form the basis for one’s identity, and they are so heavily ideological that politics has become a “my way or the highway” system, I’m afraid. And I am afraid. . . .